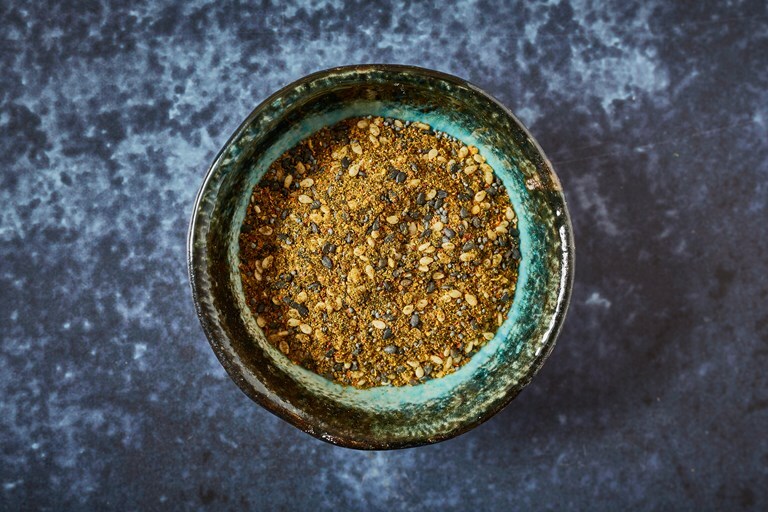 Shichimi togarashi is a Japanese spice blend consisting of chilli flakes, seaweed and sesame seeds (amongst other things) and adds a fiery umami kick to a variety of dishes. It's also a great way of using up orange peel which might otherwise go to waste. Check out Victoria's other recipes that make use of vegetable and fruit peel here. This fiery Japanese condiment contains seven ingredients and is traditionally added to finish plated dishes as a seasoning rather than the cooking pot. It adds pep and zing to bowls of noodles, rice, Japanese hot pots and even chocolate ganache or popcorn.